With the release of the Air Jordan 1 — Retro Hi OG “BANNED” this weekend, it doesn’t hurt to know more about the sneaker you’re currently camping out tonight as you try to resell them with a 300% markup tomorrow. I’m sure you have heard of the famous sneaker story. The one where then-NBA commissioner David Stern fined Chicago Bulls player Michael Jordan and Nike $5,000 for every game he wore his Nike Air Jordan 1 in black and red. It was a marketing opportunity for Nike, one that saw them set out the most impressive sneaker campaign ever — the Air Jordan 1s were too good for the NBA that they actually had to ban them. Since then, Nike never looked back. The Jordan brand owned 58% of the US basketball shoe market in 2014. If we included Nike Basketball, the figure jumps to 95.5%, with the remaining 4.5% left for both adidas and Under Armour. But the successful partnership between Nike and Michael Jordan allegedly wouldn’t have happened had it been for Sonny Vaccario. Back in 1984, Nike was struggling to compete with Converse and adidas. Converse was reaping the benefits of the Magic-Bird rivalry, releasing signature shoes for both players. On the other hand, adidas were relying on big men to carry the brand and had signed both Abdul-Jabbar and Patrick Ewing. Nike needed someone to spearhead their basketball division as they try to take a slice of a booming industry’s pie. Michael was fresh off a successful collegiate career with the UNC Tar Heels and was ready to make the jump to the pros. Nike was ready to make their pitch for the high-flying guard but he wasn’t interested in any deal with them — Jordan had been wearing adidas and Converse his whole life. Converse already had Dr. J, Magic, and Larry Bird which gave adidas a golden opportunity to add the player who would become the greatest in the NBA. They passed. According to a USA Today article published last year, the brand heavily favored signing taller players at that time (which explains the Ewing signing in 1985). adidas’ loss clearly became Nike’s gain. George Raveling was with the Michael Jordan the whole time in the 1984 Olympics as the team’s assistant coach. He had been persuading Jordan to, at least, hear out what Nike had in store. Raveling then had a meeting set up with Rob Strasser and Sonny. Nike went all out as the pitch blew Michael away. That conversation combined with ideas that would turn Jordan into a marketing superstar. He was to have his own line of signature shoes and apparel that would be called the “Air Jordan.” It was an offer he simply couldn’t refuse. Years later, both Jordan and Phil Knight would refute the story and the importance of Sonny to get Michael with Nike. But the fact of the matter is, it was the most important meeting that Nike ever had with an athlete. With the production of the Air Jordan 1 underway, Nike was ready to make waves in the NBA. The problem was that his first signature shoes won’t be released until March of 1985. Going back to their original designs for the Air Jordan 1, the company found the one prototype shoe that had almost the same design and silhouette as to the Air Jordan 1 — the Nike Air Ship. It would have to do as Nike rushed in moving the Jordan 1s to their stores. Michael was reluctant to wear the shoes in black and red colorway, as he responded when he first saw the designs, “I can’t wear that shoe, those are the devil colors.” It didn’t help that the black and red were also colors of the Tar Heel’s rival, NC State University. The NBA also had a problem with the predominantly black shoe too as it broke their “ uniformity of uniform” rule where a player must wear shoes that not only matched their uniforms but matched the shoes worn by their teammates. Even with all the news of Nike having to pay the fine for every game that Jordan played in that specific colorway, it was never proven. Sole Collector only had a letter from the NBA given to Michael Jordan as proof that the shoes were violating league rules, but no word on the fine. 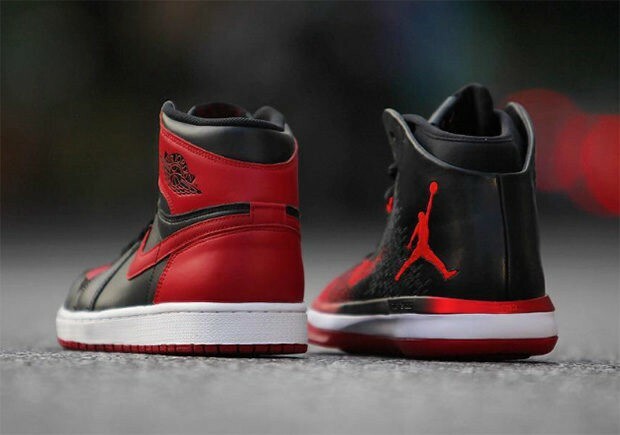 But Nike had already found the perfect story to back the release of the Air Jordan 1. It was the perfect unique selling proposition for Jordan’s first shoes. 31 years since the release of the first Air Jordan to the public and the legacy of the shoe still lives on. Converse has now been bought by Nike, and adidas has been trying to reclaim their glory in the basketball shoe market. Michael Jordan hasn’t played in more than a decade but is still considered the greatest of all-time. Sonny Vaccaro has retired and George Raveling has been named Nike’s Global Sports Director for basketball. And both Nike and Air Jordan are still the king in the market. Who would have thought that a pair of Nike Air Ship in black and red colorway would change the sneaker game forever? 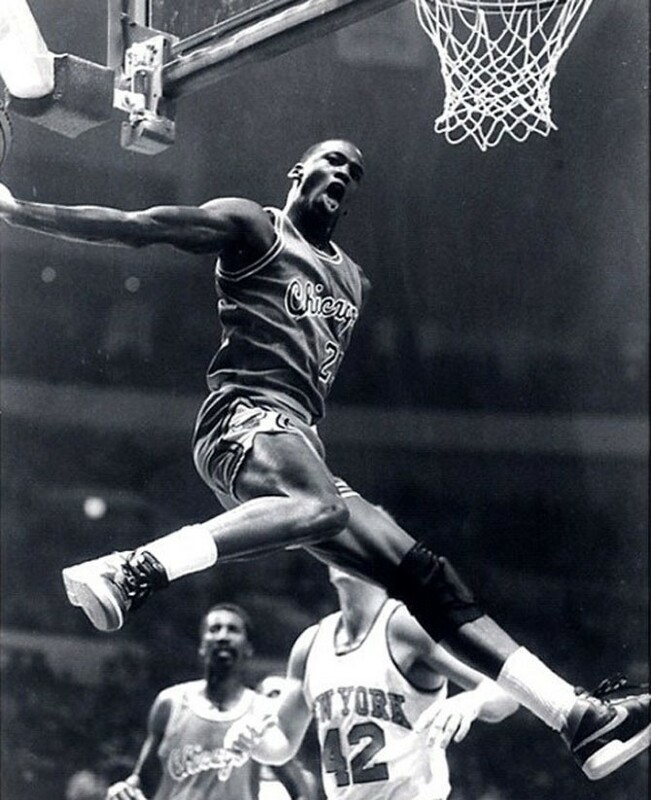 This entry was posted in Basketball, Kicks, NBA and tagged adidas, Air Jordan, Air Jordan 1, Blog, Bulls, Chicago Bulls, Chitown, Converse, Michael Jordan, Nike. Bookmark the permalink.